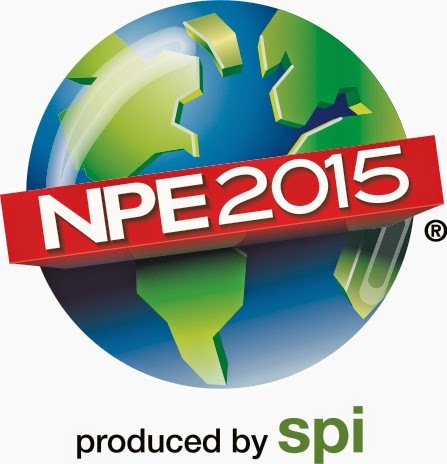 It’s almost here: NPE2015. In just a few short weeks (or 34 days, but who’s counting? ), the largest plastics show in North America will kick off in Orlando, Fla. Since the show is only held every three years, significant changes happen to the global economy and to the plastics industry between shows. In 2009 the show was characterized by declining attendance and fewer exhibitors at the height of the global economic crisis, while the 2012 show was upbeat with the recovering economy and a new show location (Orlando), Everyone is buzzing about the prediction of a robust and exciting show in 2015. Americhem has proudly exhibited at every NPE since 1988 – so NPE2015 will be our tenth show as an exhibitor. We even have an employee, national account manager Doug Croley, who has worked at every single Americhem booth since that time. Congratulations, Doug, on your upcoming 10th show. The show takes place at a time of steady growth in the economy. Manufacturing in the U.S. is strong. 2014 witnessed the best performance from U.S. factories since 2010. Pundits predict that U.S. factories will outpace foreign plants since oil prices are falling and domestic job growth has boosted consumer spending. Favorable raw material costs seem to be benefitting companies at almost every link in the supply chain. In fact, plastics industry insiders, like Society of the Plastics Industry (SPI) President Bill Carteaux have stated that falling gas prices have “made U.S. plastics a competitive industry.” We’re excited about the prospects of a great NPE show and look forward to hosting lots of customers and other visitors at our booth 24027 in the South Hall. This year’s NPE has lots of special pavilions including NPE3D, which NPE is billing as a “show within a show.” This pavilion will feature everything you ever wanted to know about 3D printing, including a wide variety of working 3D equipment. Americhem has been working in this industry for some time now, and we will also feature a working 3D printer demonstration in our own booth. The Zero Waste Zone will teach visitors how the industry is recycling, processing and using them in new products. The zone will also have demonstrations as well as a display of products created from recycled materials. It will also feature a self-directed educational tour conveying the recycling value chain and process. Americhem is excited about all the possibilities this year’s show represents for our company and for our industry. The plastics industry is the U.S.’s third biggest manufacturing industry and we’re proud that it is going strong after all these decades. NPE will be a great place to celebrate and grow.